I’m having a blast this holiday season watching the Christmas episodes of my favorite shows. First there was Castle, and tonight’s there’s a brand new Christmas episode of The Big Bang Theory. I can’t wait! It was Christmas Eve. He was supposed to be asleep already—mom always said Santa wouldn’t come unless he was sleeping—but Roger was too nervous. He planned to wake up after everyone else fell asleep so he could go sit in the living room by the Christmas tree and wait for Santa. He even had his alarm clock set for two in the morning because he was pretty sure that’s when Santa would be there. Last year Roger snuck out into the living room at three, but the cookies and milk his mom had left out for Santa were already gone, and Roger’s stocking was stuffed full of little wrapped presents. Two o’clock had to be the right time, it just had to be. This year was too important. He couldn’t miss Santa again. Roger had stashed his wind-up clock under his pillow so that he’d be the only one to hear the alarm when the little hammer beat on the bells. If the alarm woke up his parents, much less his grandmother, Roger would be in big time trouble. No kid wanted to get in trouble right before Christmas, especially not on Christmas Eve. Roger didn’t want to take the chance that Santa might cancel Christmas. Things were already bad enough at his house. He didn’t think he could stand it if Santa decided he was a bad little boy this year. I feel like asking how Christmas shopping is going, but I’m afraid you’ll all throw things at me. That’s kinda what I felt like doing the other night when a perky local newscaster asked, since there were only 22 days until Christmas, if we were all stressed yet. Up front, I should tell you that my partner is an elf. A tall one. Broad-shouldered, pointy-eared, strong-jawed, and with the most drop dead gorgeous blue eyes I’ve ever seen. You might be thinking Legolas from those movies, but Diz is more The Rock than Orlando Bloom. He even has The Rock’s glower. The cinnamon and marshmallow-colored mullet, though—that’s all Diz’s own. Together, Diz and I run a private detective agency called D & D Investigations out of a former bakery in a rundown neighborhood on the mainland side of Moretown Bay. I’m Dee, the other D in D & D. I’m not an elf. Or a dwarf. Or a fairy, or any one of a hundred other kinds of magic folk who call the area around the Bay home. I’m a plain old vanilla human with curly brown hair that tends to frizz when it’s humid, which is just about all the time. I also have a touch of precognition I’ve yet to learn how to control any better than my hair. I looked down at him. Unlike Diz, who’s a good foot taller than my medium height, these elves were all way shorter than I am. I counted seven of the mini elves. They all wore variations of the same outfit: forest-green pants, red-and-green shirts that were more tunic than shirt, and red, green, or white scarves. The elf who asked me whether we find missing people had curly salt and pepper hair peeking out from beneath a red knit hat with a white pom-pom on top. They made the office look like a seasonal munchkin convention. 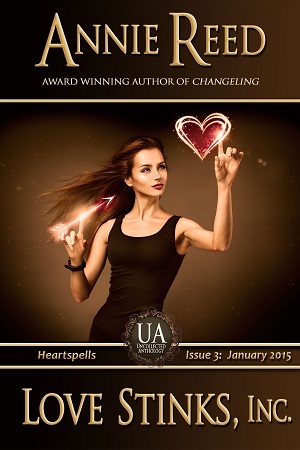 If you’re looking for a holiday story with a touch of crime, I have a new story in the January 2013 holiday edition of Ellery Queen’s Mystery Magazine. 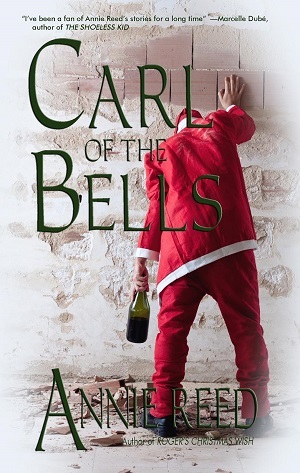 Annie Reed’s funny but poignant “Carl of the Bells” explores the idea of charity during the bell-ringing season. 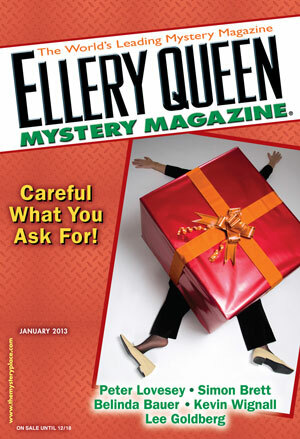 The holiday edition of Ellery Queen is available now in bookstores as well as a digital edition. Good morning, everyone! Happy three days before Christmas. If you’re still shopping, I wish you short lines and easy finds. In other words, no stress. The young boy in this week’s story has a whole different kind of wish. ROGER’S CHRISTMAS WISH is a sentimental look back at an earlier era, before iPods and Nintendo DX and PS3’s. I hope you enjoy it! It was Christmas Eve. He was supposed to be asleep already — mom always said Santa wouldn’t come unless he was sleeping — but Roger was too nervous. I’ll refrain from reminding everyone how many shopping days are left until Christmas. I don’t want things lobbed in my direction. 😉 I’m not quite done with shopping myself. I feel your pain. The holidays bring a different sort of pain to the woman in this week’s story. 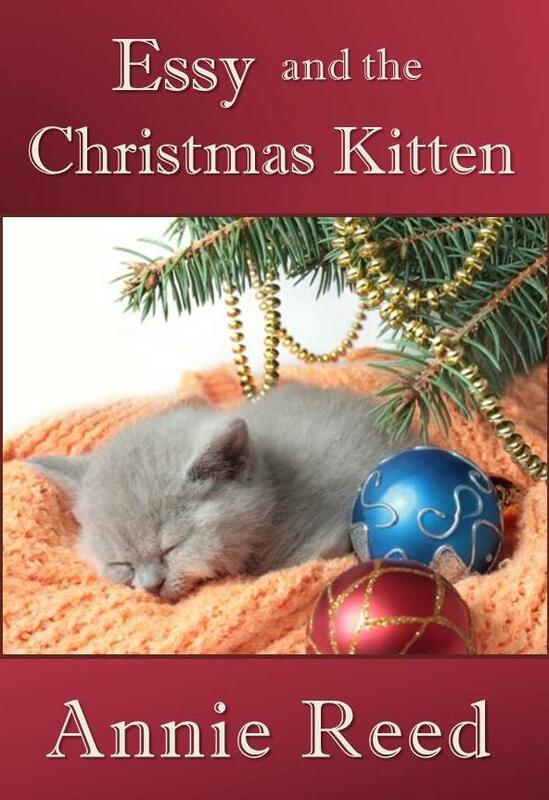 ESSY AND THE CHRISTMAS KITTEN is about how one small kindness can make a world of difference. I hope you enjoy it. The kitten looked like a cross between a drowned rat and one of those scary-looking bats with huge, radar ears. 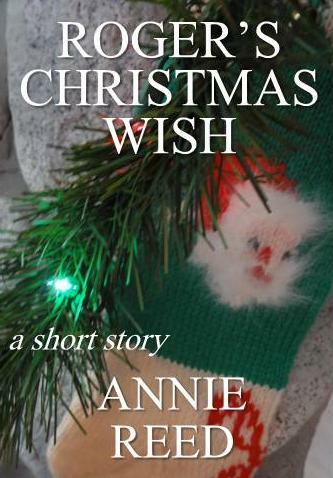 Essy had been on her way out to scrape the latest accumulation of heavy, wet snow off her ten-year-old Toyota, a car that hadn’t tried — yet — to kill her by deciding all on its own to set a new land speed record, when she saw the kitten huddling beneath the prickly holly bush at the corner of her house. Its grey fur was sopping wet. Even without bending over to get a closer look, Essy could see it shivering as each new flake settled on its skinny body. What in the world was a kitten doing out here all by itself? At the end of November? Essy didn’t exactly live at the edge of civilization, but her house was the last on the block. Beyond her fence, the land rose up into the first of the rugged foothills that separated her subdivision from the newest cookie-cutter shopping center in the valley a mile away. People didn’t usually dump unwanted animals on her street. It was a dead end, which had suited Essy just fine when she bought her little house. She supposed someone could have tossed the kitten out of a car and driven away. Or a coyote could have gotten its mother, even though a kitten seemed like easier pickings. Essy had no pets. The days of pets and kids and a husband and work were long gone. But she couldn’t leave a kitten out in the snow to freeze to death. She crouched down in front of the bush, her knees protesting. The kitten backed a couple of steps away, crying at her, all wide blue eyes and pointy baby teeth. It couldn’t have been more than eight weeks old, if that. Essy’s daughter had brought a baby kitten home one day from school. Six weeks old, and little more than a fuzzy black fur ball on spindly legs. “Mommy, can I keep her?” Essy and her husband had never been able to say no, not when their daughter had her heart set on something, so the kitten had joined their family. It was gone now, too. “Come here, sweetheart,” Essy said to the sopping wet kitten. “Where’s your momma, baby?” She took off one leather glove and held her fingers out, hoping to entice it, but it backed away one more step, still crying. Can you believe it’s December 1st already? Wow. This year has just flown by. Pretty soon I’ll be annoying my co-workers with holiday music — I’m already annoying my family with a holiday CD in the car — and it will be time to put up the Christmas tree and see how the new cats and the tree cope with each other. 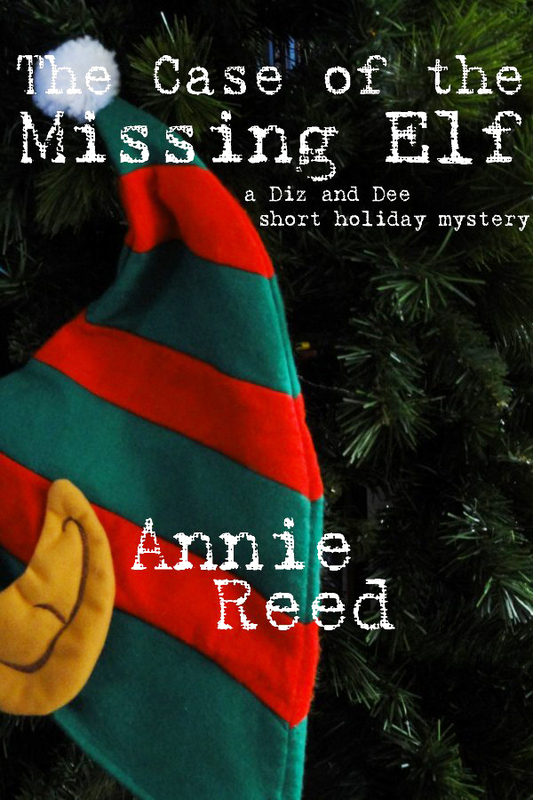 To celebrate this first day of the holiday season, this week’s free story is a Diz & Dee holiday mystery – THE CASE OF THE MISSING ELF. Enjoy! Up front, I should tell you that my partner is an elf. A tall one. Broad shouldered, pointy-eared, strong jawed, and with the most drop dead gorgeous blue eyes I’ve ever seen. You might be thinking Legolas from those movies, but Diz is more The Rock than Orlando Bloom. He even has The Rock’s glower. The cinnamon and marshmallow-colored mullet, though — that’s all Diz’s own. I looked down at him. Unlike Diz, who’s a good foot taller than my medium height, these elves were all way shorter than I am. I counted seven of the mini elves. They all wore variations of the same outfit: forest green pants, red and green shirts that were more tunic than shirt, and red, green, or white scarves. The elf who asked me whether we find missing people had curly salt and pepper hair peeking out from beneath a red knit hat with a white pom-pom on top. They made the office look like a seasonal munchkin convention. “Uh, yeah,” I said. I resisted the urge to point to the lettering beneath the agency name on the plate glass window of our office — Missing Persons Are Our Specialty. We’d paid extra for that, but no one ever seemed to read it. I glanced over at Diz, expecting to see his everyday glower amped up to a killer scowl. My partner and patience aren’t even on a handshake basis. Diz was born without that sense of serenity that’s second nature to most wood elves. Stuff gets to him. He left his clan’s home on Marlette Island years before I was even born. Life among the trees probably drove him batty. Lord knows why he puts up with me, not that I’d complain about that either. I know when I’ve got a good thing going. One of the things Diz can’t stand is a client who won’t get to the point. Between the scowl and the lack of patience and the elfly strength, Diz can be flat out intimidating. That’s what made him such a kickass interrogator when we were both with the cops. Now that we’re detecting on our own and can’t afford to scare potential clients away, I do most of the initial interviews. I can be kind of a smartass, but at least I’m nice about it. But now, instead of having to deflect Diz from going into full scowl mode, I caught him in a near-grin. “You’re smiling,” I said to him. I lifted an eyebrow. I’m not sure why my partner doesn’t like to admit when he’s having a good time, but far be it for me to let him get away with it. Immediately, all the pint-sized elves in the office went quiet. “What?” I said to the group who were all giving me the evil eye. 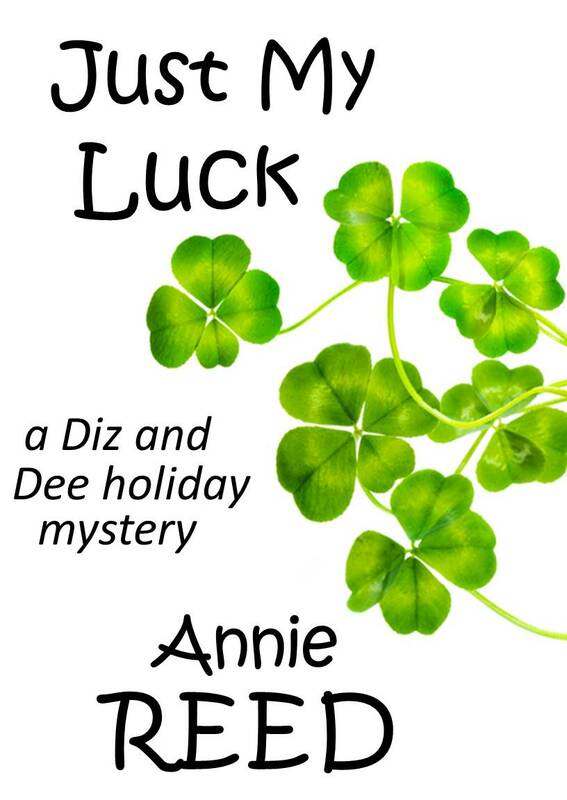 In honor of St. Paddy’s Day, as my dad used to call it, this week’s Free Fiction Thursday story is a brand new Diz and Dee mystery called Just My Luck. Enjoy! He shut the door firmly behind himself then turned to face me. 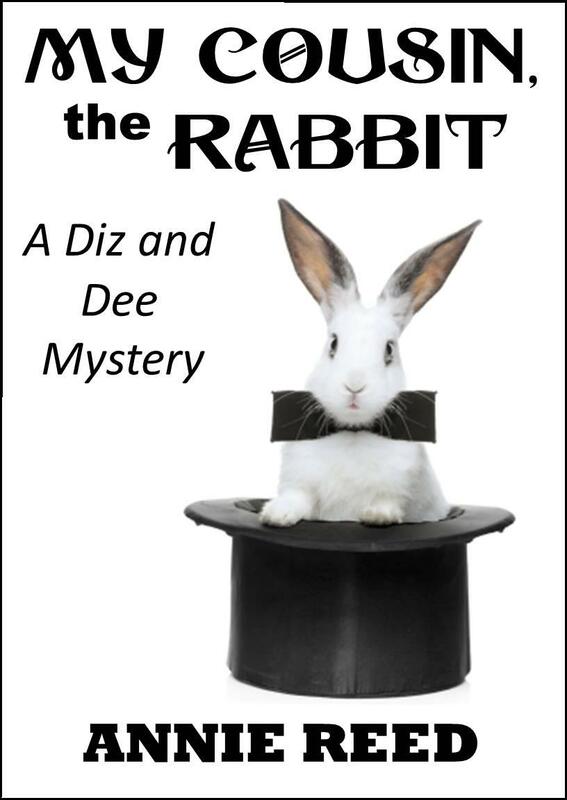 He held a green fedora that matched his suit in hands that looked far stronger than their diminutive size implied.